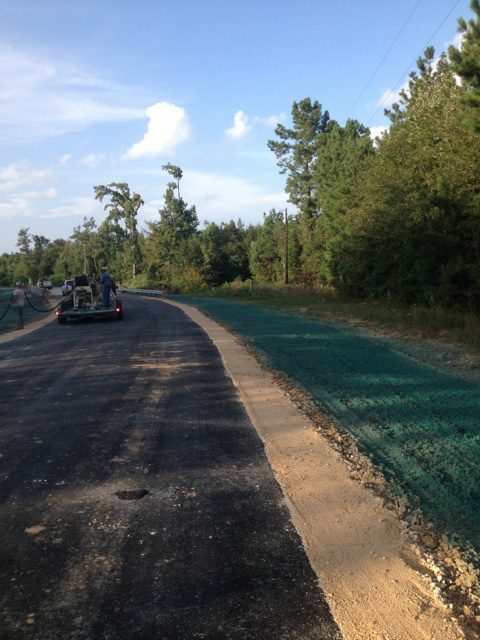 Guinn Construction performs Erosion Control Projects throughout the state of Louisiana into its surrounding states. 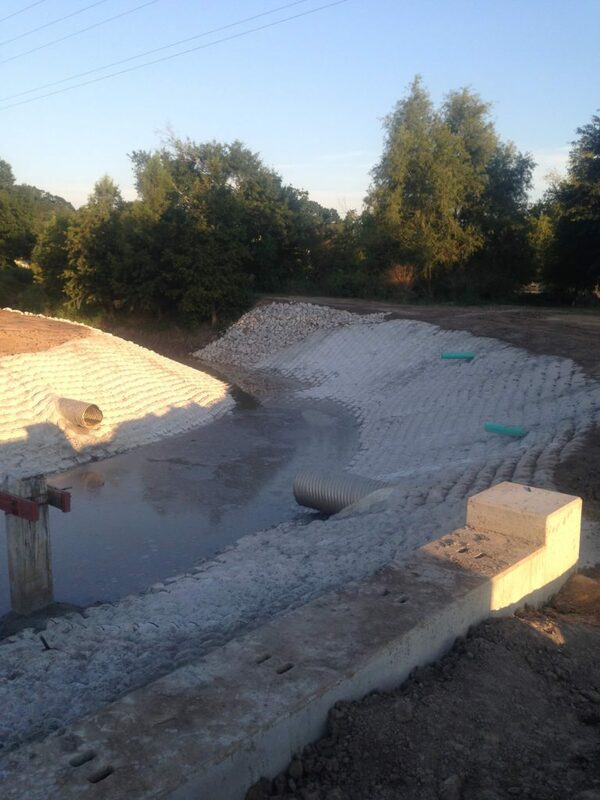 Erosion Control is the practice of preventing or controlling wind or water erosion in land development, coastal areas, riverbanks, and construction. There are many ways to prevent erosion. 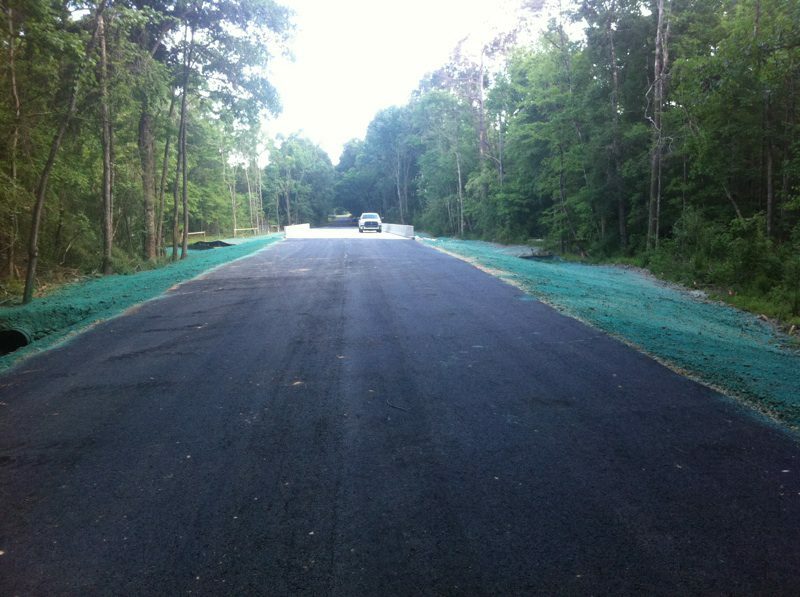 Some of the projects that Guinn Construction performs are: Rip Rap Installation, Concrete Paved Ditch, Articulated Block Mattress ABM, and Hydro Seeding/ Hydro Mulching. 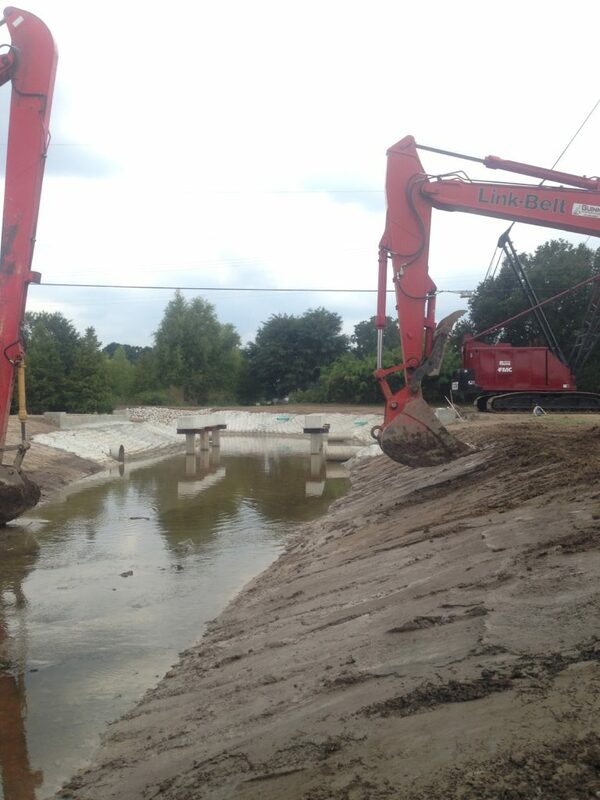 Rip Rap Installation consists of placing and arranging large limestone or concrete materials on slopes, bridge abutments, around pile, or shorelines to prevent scour and water erosion. Concrete Paved Ditch consist of building the slopes to the desired elevations then forming and pouring concrete to establish a fixed permanent structure to prevent scour and water erosion. Articulated Block Mattress (ABM) is a cable reinforced, articulating concrete block mattress for use over soft subgrades or where revetment is exposed to attack by waves. When filled with a fine aggregate concrete, they form a system of staggered, interconnected, cable reinforced concrete blocks. This application makes for a very neat and professional solution. Hydro Seeding/ Hydro Mulching is the practice of a planting process that uses a slurry of seed, mulch, and fertilizer. The slurry is transported in a tank and sprayed over prepared ground. 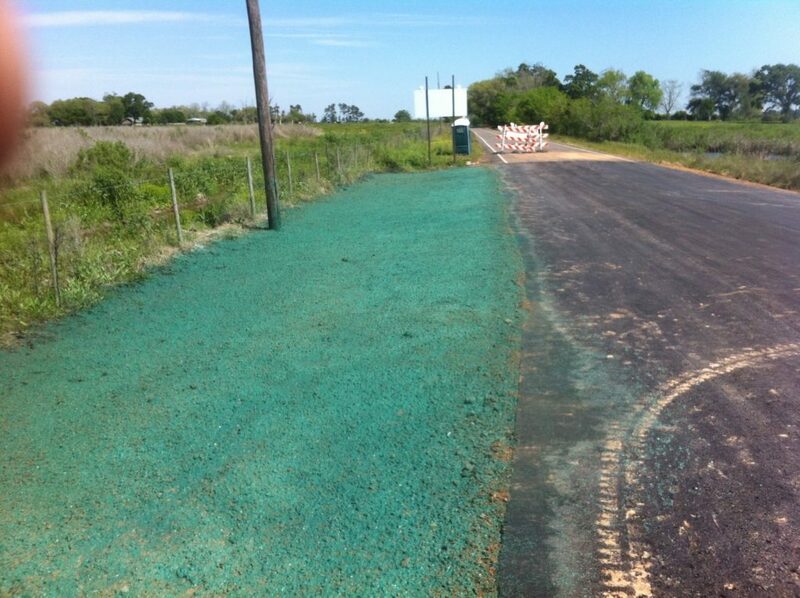 There are just a few types of the Erosion Control Projects we perform. Please contact us to help you decide which application best suites your need.